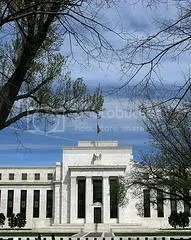 The Fed Agrees (Again): Disclosure Is Not Enough! …enhanced disclosures are helpful…but…simply requiring greater disclosure of terms does not get at the underlying problem – tricks employed by the industry that keep Americans trapped in a cycle of debt. Telling bank robbers that they must write clearer notes in a larger typeface does not stop the theft…..The Federal Reserve Board should enact stronger regulations that outlaw predatory and abusive credit practices. By December 2008, when the Fed issued revised its final credit card regulations, it had come around to our position. Making its first-ever use of powers that it had had for many years, the Fed prohibited a number of “unfair and deceptive practices” commonly used by the credit card industry. In at least one case, that of “double-cycle billing,” the Fed’s conclusion was based on the results of consumer testing showing that even carefully-crafted disclosures were not able to make credit card users understand this complex method for computing balances. The Fed’s explanation is here, on pages 5535-36. Fast forward to last week, when the Fed issued its long-awaited revised regulations for disclosures for home mortgage loans. Almost all of the new regulations consist of welcome prescriptions for much more timely and informative disclosures. But again the Fed found one common industry practice for which they decided that disclosure is not enough. As a result, the Fed proposes simply to ban “yield spread premiums,” the notorious payments that lenders make to mortgage brokers who place borrowers into more loans with higher interest rates than the borrowers are qualified for. In this case, the Fed found – again on the basis of extensive consumer testing with potential disclosure language – that no amount of disclosure would be effective in protecting vulnerable borrowers from abuse. The Fed’s analysis of this issue is here, on pages 30-33. It’s great to see that the Fed has taken to heart our message that “disclosure is not enough,” even in a regulation overwhelmingly devoted to improving disclosures. It’s also encouraging to see its regulations based increasingly on actual evidence, not just on the free market ideology that ruled during the Fed’s Greenspan era.